Ruby grass ‘Pink Crystals’ is native to Africa and recommended for use as an annual in all but United States Department of Agriculture zones 8 to 10. It has little cold tolerance but produces an elegant wave of foliage tipped with rose colored panicles in summer that develop a pearly white cast as they age. This clumping grass looks beautiful as a border, single specimen or in containers paired with other annual species. Learn how to grow Pink Crystals ruby grass for a spectacular addition to your seasonal displays. The name, ruby grass ‘Pink Crystals,’ refers to the attractive pink flower panicles that soar in airy magnificence a foot above the slender green foliage. What is ruby grass? This plant is a tropical tufting grass that is easy to grow and divide after a few seasons for more of the finely foliaged plants. Ruby grass care is minimal and the plants keep a compact habit that is perfect for the detail oriented gardener. Ruby grass is also sold as Pink Champagne grass and was previously classified as Rhynchelytrum neriglume but now goes under the botanical name Melinis nerviglumis. The tropical plant is a true grass in the family Poaceae, which thrives in full sun and has minimal pest or disease problems. The leaves are classic grass blades – narrow, bluish green and several inches to a foot in length. The summer inflorescences are borne on panicles with small airy clusters of pink flowers covered in silky hairs. Flower stems rise over the entire plant in an airy rose-colored burst of color. Clumps may grow 2 feet in width and should be divided in warm regions where the plant will persist over winter. Ruby grass is winter hardy to 20 degrees Fahrenheit (-6 C.). In warm climates, ruby grass may self-seed, but in most climates it is best to harvest seed in fall and save indoors until planting time. You can also divide the plant in the dormant period and pot up some new starts to overwinter indoors. Seeds can be sown directly into prepared beds in spring after all chance of frost has passed in longer season regions. For an earlier start or for northern gardeners, sow indoors 6 to 8 weeks before the last frost date. Wait until soil warms up and harden off seedlings by acclimating them for longer periods of time outdoors over the course of a week. Keep the young plants moderately moist but not soggy. 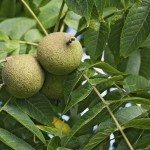 This Melinis is tolerant of coastal areas, deer, drought, air pollution and can even thrive near the toxic black walnut tree. The best color occurs in full sun situations but it can also perform well in dappled light. It needs regular water but can survive brief periods of drought once established. Ruby grass has no persistent pest issues but it can develop fungal diseases if the foliage remains wet in warm weather. Water the plant from the base to prevent problems and allow the top few inches of soil to dry out. Fertilizing is not necessary in properly amended soil. In areas where the plant is expected to survive winter, cut back the grass in fall or late winter to allow new foliage to burst out. Divide the plants in spring, if necessary. Read more articles about Ruby Grass.